Imagine yourself with a group of friends, family or partner, picnicking and enjoying some good music, before catching a movie under the night sky. Sounds amazing, doesn’t it? Don’t miss this fun event with a Mardi Gras twist. Marks Park Sports Club, Judith Road, Emmarentia, Johannesburg. Movie Night Under The Moon is an evening of music, food, great company, and of course a movie. It is a wonderful scene for you, your friends, family, or partner to socialize and watch a proudly South African movie in a relaxed atmosphere. And later this March, they’ll be back and better than ever before! Prepare yourselves for a fun-filled and electrified movie night. 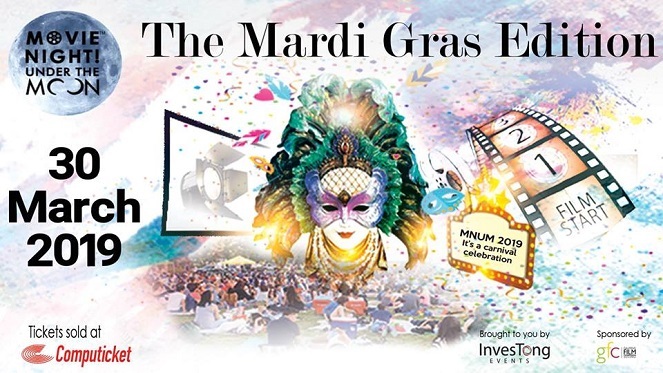 This year’s theme is one of the most exciting ever… Mardi Gras! Saturday, 30 March 2019 from 14:00 – 23:00. Ticket prices cost between R175 – R200 per person and can be bought at Computicket. 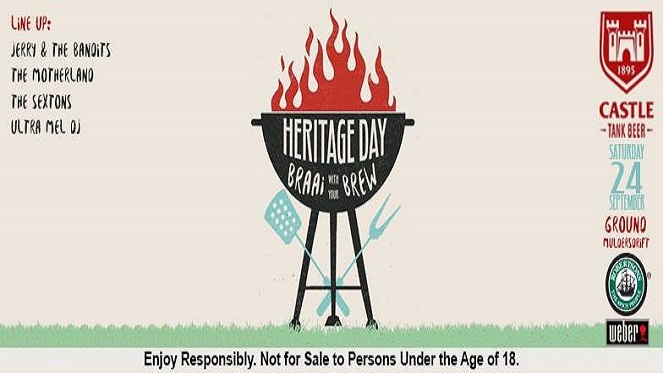 Braai With Your Brew This Heritage Day!